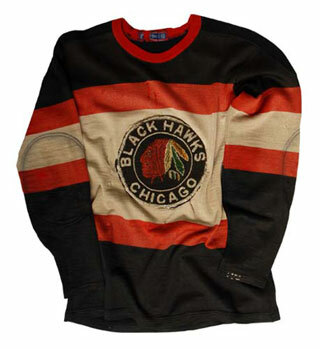 Chicago Black Hawks sweater worn by Earl Seibert during his ten seasons with the club. 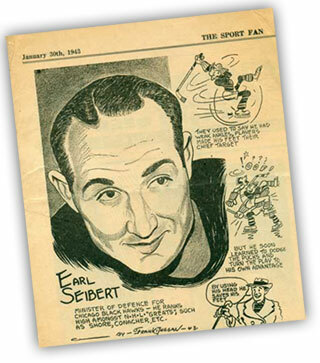 1983 Hockey Hall of Fame hockey card of Earl Seibert. 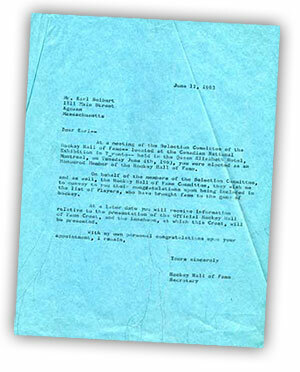 On June 12, 1963 Earl Seibert received this letter from the Hockey Hall of Fame informing him that he had elected as an Honoured Member of the Hockey Hall of Fame. This Frank Duggan caricature of Earl Seibert that appeared in The Sport Fan on January 30, 1943. 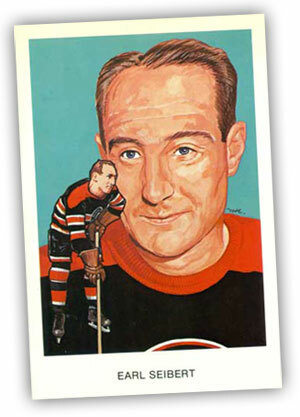 In order to compile a 'Who's Who' section in the National Hockey League's Guide and Record Book, players were asked to provide information on various topics, including their minor hockey career, accomplishments in other sports, ancestry, military service, and off-season employment. 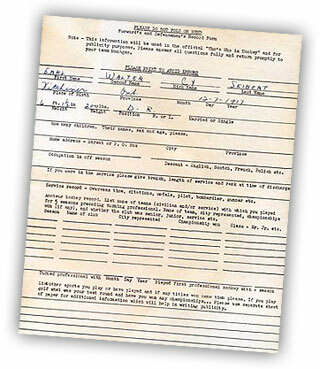 Here is one for Earl Seibert filled in by Jim Hendy.